Tokyo 2020 and the International Olympic Committee (IOC) appear to have closed the door on the possibility of a second Olympic baseball and softball venue in the capital city's metropolitan area during the Games. It comes as the Yokohama Stadium was confirmed as the main Olympic venue during a presentation given at the ongoing IOC Executive Board meeting here today. Holding preliminary games in an additional venue in the Fukushima Prefecture is still being considered, after the prospect was mooted as a way to revitalise an area devastated by a 2011 earthquake and resulting tsunami which left 16,000 dead. But, while theoretically supportive of this plan, the World Baseball and Softball Federation (WBSC) exclusively revealed to insidethegames last week how their priority remains a second venue in the Tokyo Metropolitan area. They claim the 320 kilometre distance from Fukushima to Yokohama would place an unfair burden on athletes. This proposal was not discussed during the presentation itself, according to Tokyo 2020, but was the subject of a special lunch meeting between organisers and the IOC beforehand. There, both parties agreed they are on the "same page" over the baseball and softball venues. "Tokyo 2020 and WBSC are currently discussing the potential addition of an extra venue in Fukushima prefecture for the baseball and softball competitions, as part of the effort to contribute to the regeneration of the area," a statement added. Tokyo 2020 President Yoshirō Mori appeared to leave a tiny sliver of daylight open, however, by claiming he would "verify and review" a WBSC proposal sent to their Sports Department, which he claims to have not yet seen. But the impression afterwards was that a change of heart is very unlikely. The WBSC are still supportive of the mood but opted to take a more conciliatory approach in their reactive statement. 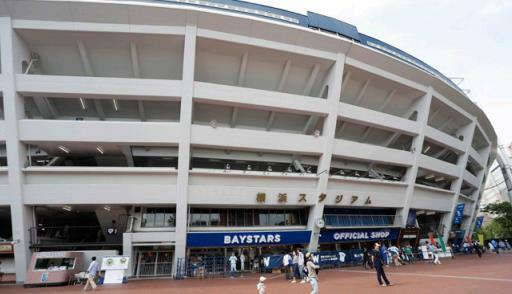 "WBSC is delighted with the decision of the International Olympic Committee Executive Board to confirm Yokohama Stadium as a main venue," the body's President Riccardo Fraccari said. "Yokohama Stadium with its downtown skyline will provide a spectacular backdrop for Olympic baseball and softball - this is an exciting day that takes baseball and softball one step closer on the historic road to Tokyo 2020."